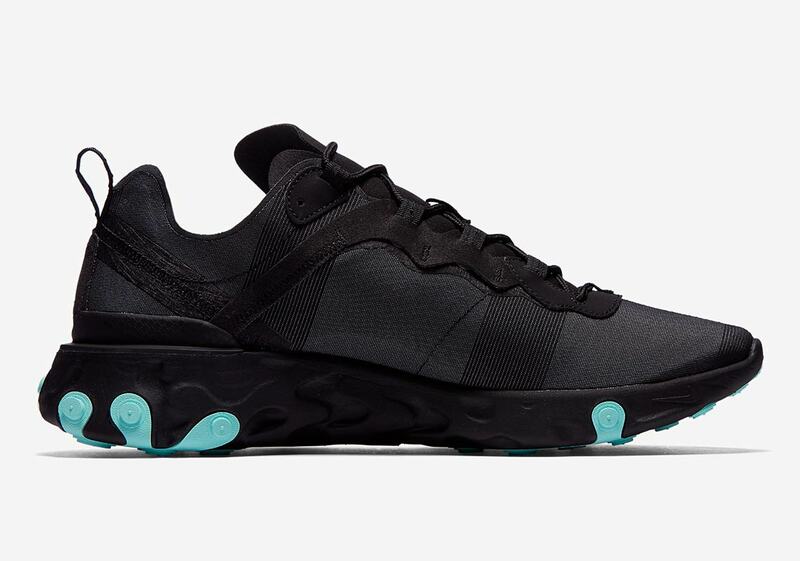 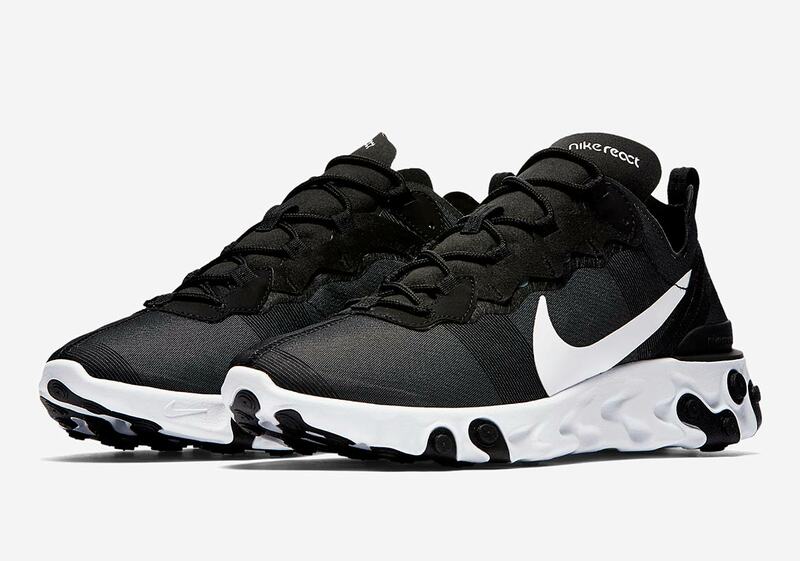 After the considerable success enjoyed by the futuristic React Element 87 upon its release in June and subsequent arrival in two new colorways earlier in August, Nike’s keeping the React train rolling into the fall with a new take on the silhouette: the React Element 55. 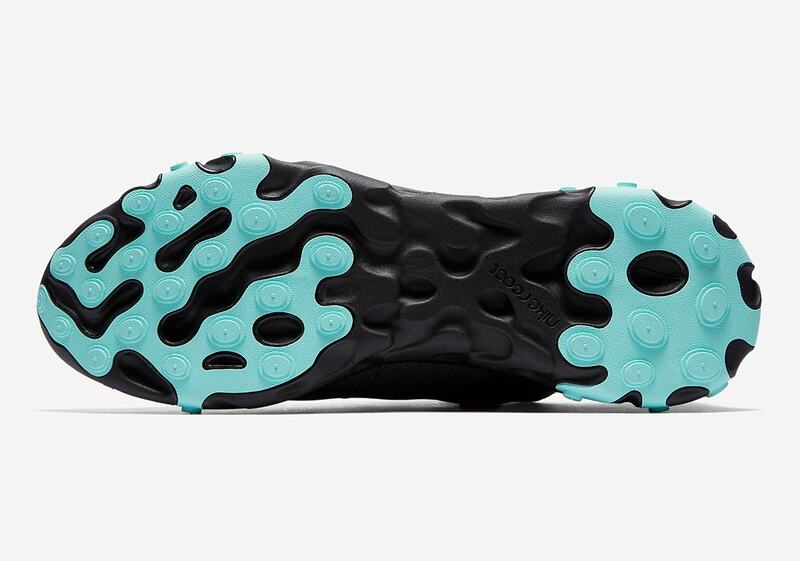 First unveiled earlier this week and now arriving in two brand new colorways, the cored-out React midsole with striking plugs and wavy lacing system with suede overlays first used on the 87 both remain intact on the new 55. 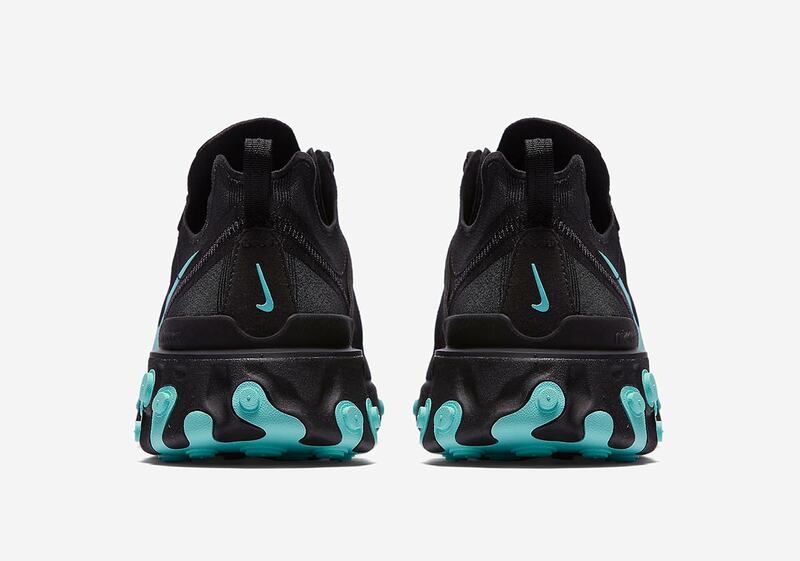 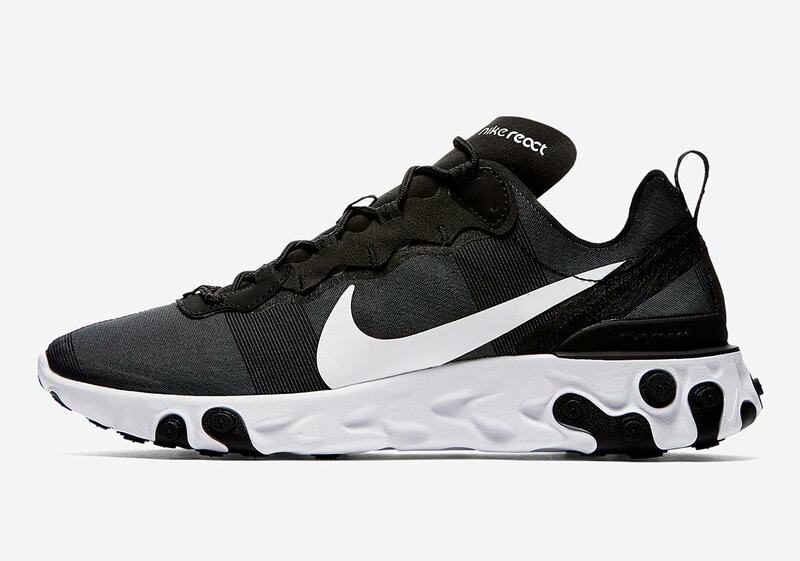 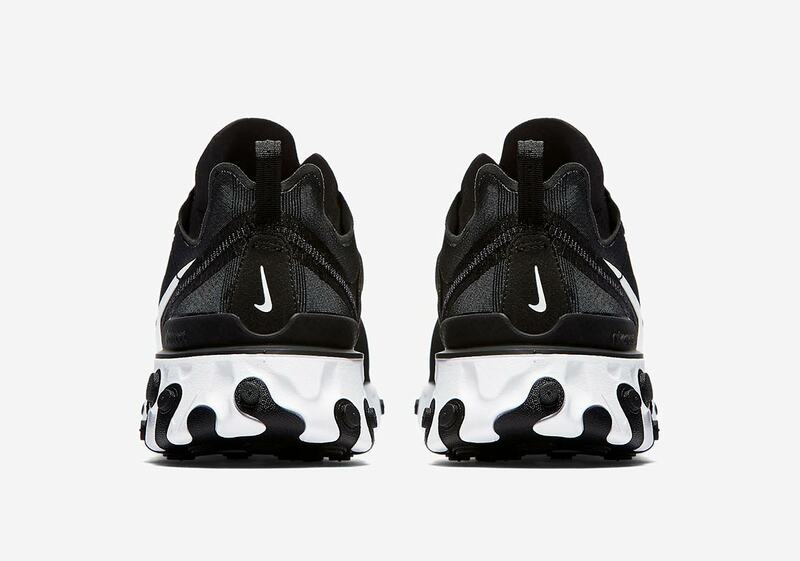 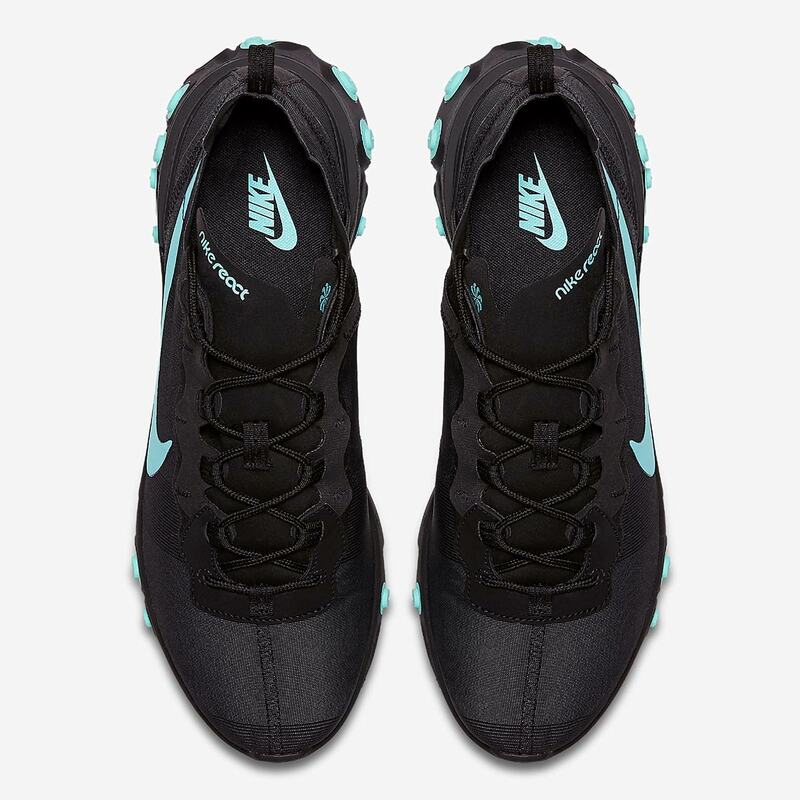 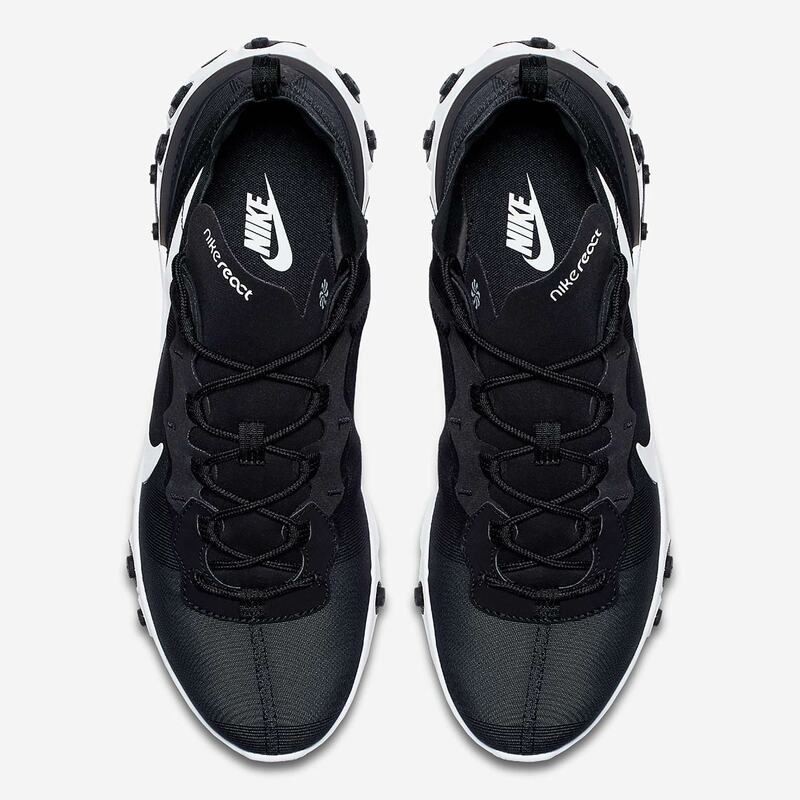 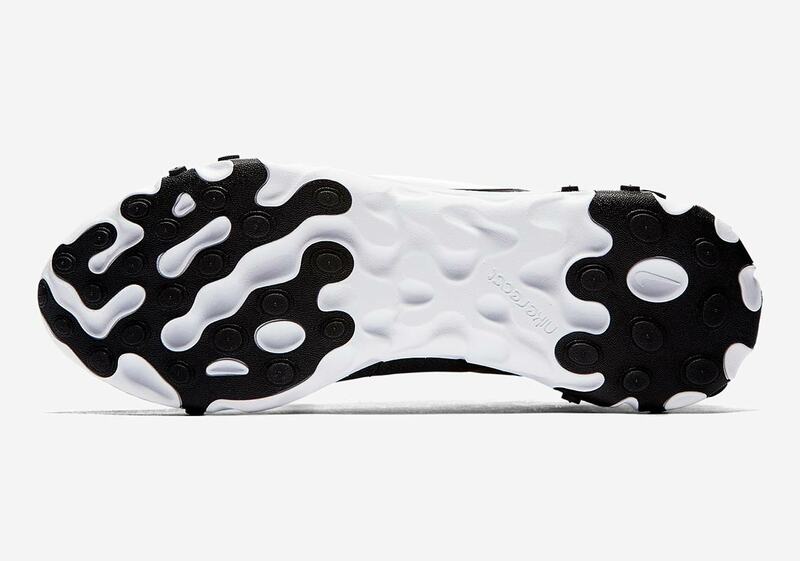 However, the translucent TPE upper from the Element 87 is gone, replaced with a black synthetic material that’s decidedly opaque. 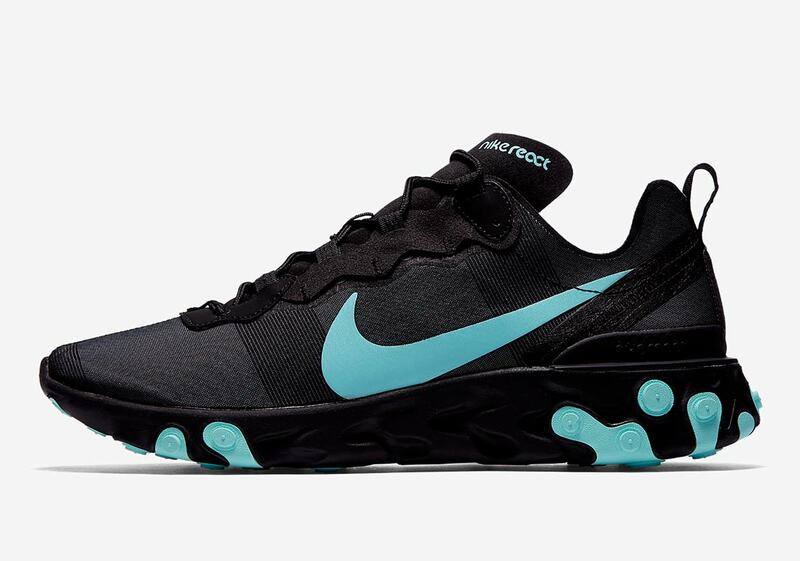 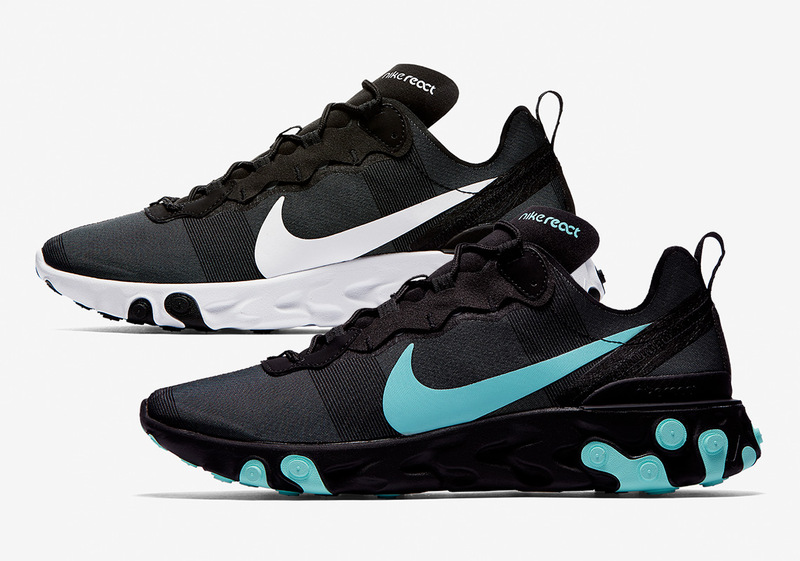 One pair opts for white detailing, with a white Swoosh and white React midsole with black plugs, while the other offers a more bold look, with a striking teal swoosh, black React midsole, and teal outsole plugs. 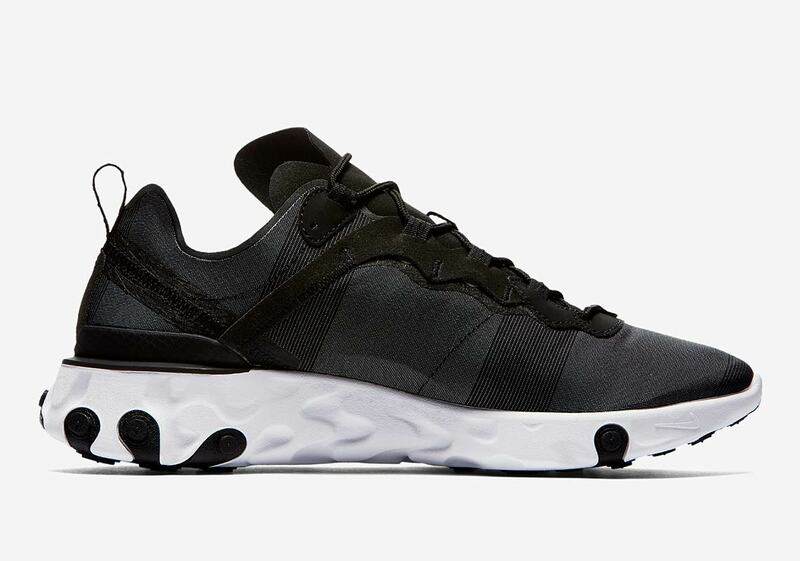 No official release information for this new lifestyle silhouette has been revealed yet, but they’re expected to retail at $130, $30 less than the Element 87. 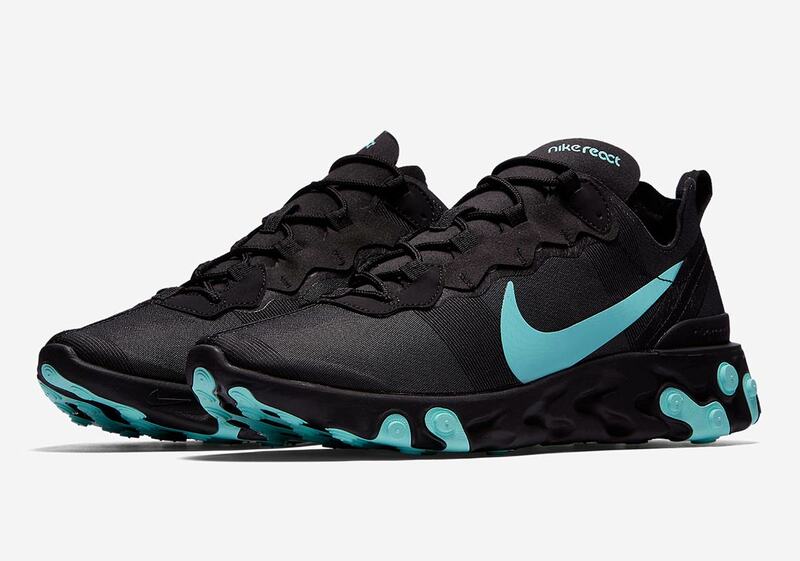 Enjoy a full set of images below, let us know what you think of the new silhouette, and be ready for their release September 29th at the retailers listed below.